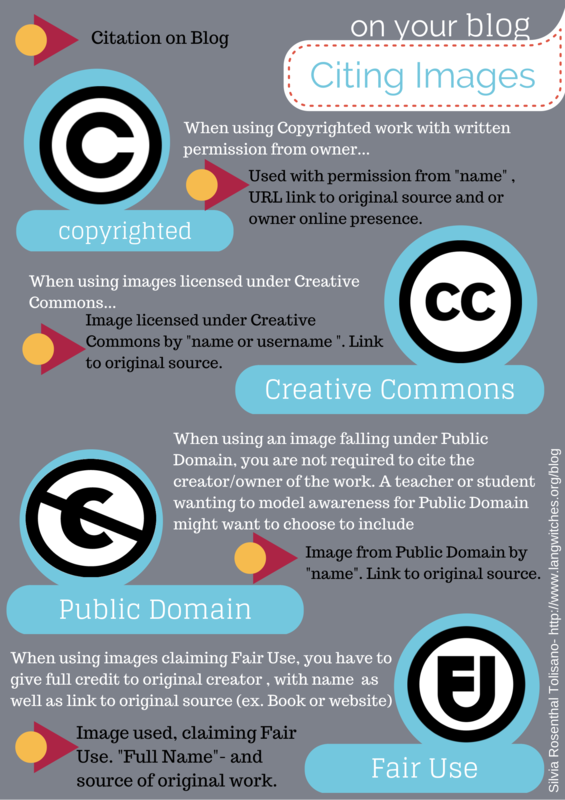 In today's world, when content of all kinds—text, images, video, software, and music—can be downloaded with the click of a mouse, it is critically important that students learn about copyright. Beginning as early as kindergarten, students need to know what copyright means and how copyright law guides both how and when they can use content created by others. Even more, they need to learn the vital connection between copyright and works that they create themselves. They need to understand why it is important to respect the work (the intellectual property) of others and how they can use material created by others—in what they do at home, at school, and on the Internet. When students learn that everything they create—a report or short story, a drawing, photograph, or piece of music—is their own intellectual property and protected by copyright law, they also learn the lasting value of every creative effort. And that can inspire even more creativity! • What is an example of creative work protected by copyright? • What is a copyright? If something is copyrighted but you still want to use it, what do you need to make sure to do? • What is the main purpose of copyright? • To demonstrate the concept of gravity, a science teacher shows her class a two-minute clip from a popular movie. The use of this work is most likely an example of what? • Why is it a good idea to get the author's permission to use a creative work, even if you think it may be fair use? • Have you ever been in a situation -- perhaps unknowingly -- when you used someone else’s work and didn’t appropriately give credit? What could you have done differently? • What counts as someone else’s “creative work”? Writing? Photos? Drawing? Poems? Comments? Music? • Have you ever had an experience when someone didn’t give you credit for your creative work? What would you want people to do if they wanted to use your creative work -- perhaps a song or something else you wrote or a picture you took? • The narrator talks about four points of fair use. Which of the four points do you think is hardest to always do? • What is a “mash-up”? What should you do if you want to use someone else’s work as part of your mash-up? With the convenience of technology allowing individuals to transfer, copy, and digitize learning materials faster and easier than ever, understanding copyright law becomes even more important. We have an obligation to practice integrity and trustworthiness. We should honor the law when it comes to fair use and copyright and in so doing protect ourselves from legal liability. • Try to use only things you’ve written orcreated yourself. Then you won’t have toworry about copyright at all! • Try to use copyright-free artwork and/ormusic. 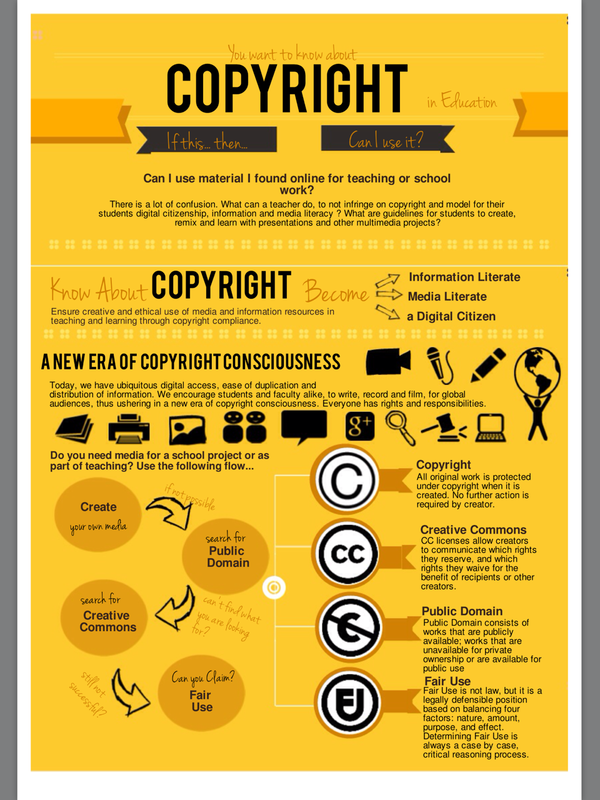 • Fair Use means students can usecopyrighted material for school projects. Butyou still have rules to follow! • You must get permission to use thecopyrighted material. Fair Use guidelines are rules (called exemptions) that make it okay for students to use copyrighted material for school projects. But… you must follow the very strict rules! You must list the source in your bibliography. Include author, title, publisher, URL, place and date of publication. It’s ok to put the copyright info and the credits together in a separate place in your project (like on the last slide of the presentation). Remember, you can only use certain amounts of copyrighted material! permission. Copyright violation is taking someone else’s work and using it without permission. Plagiarism is taking someone else’s work and using it as your own. • If you use information that is exactly as you found it somewhere, be sure to highlight, underline, or use quotation marks and cite it in your project’s bibliography.